Which are the best kitchen tools every person who cooks Indian food regularly need? This is a question that has very many answers because there are many different cooks out there. However, there are very basic kitchen gadgets that will quickly get you through a long list of Indian recipes. You will also need these utensils in your kitchen if you want to have a real taste of real Indian food. In case you don’t own the tools, you can easily find them in the nearest store. It is one of the best kitchen gadgets for Indian cooking. This tool ensures that you do not dull your knife unlike cutting items directly on the kitchen counters like most cooks. A standard cutting board has the size of twelve by eighteen inches. This size makes it possible to prepare all the primary ingredients in one place. When preparing most Indian recipes, you will need ginger, garlic, onions, tomatoes, and chilies. If you make all these foundation items on one board, it will be easier for you to add them quickly anytime they will be needed. 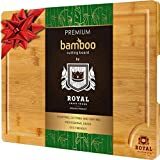 These chopping boards can also be used to roll out pizza dough, cookies or pie dough. It is a kitchen gadget that is useful when extracting vegetable juice, fruit, green vegetables and several other things. It will genuinely squeeze the juice out of the pulpy. 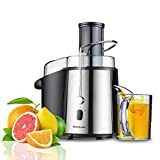 In the market, you will come across two types of juicers. First, the Centrifugal Juice Extractor; It is the standard type of juicer. It is fixed with spinning metal blades at the bottom to extract the juice from fresh. The juice and pulp are separated into two separate containers. A drawback of this juicer is that it produces a lot of heat. The heat kills the fruits thus lowering their health benefits. Secondly, we have the Cold Press Juicer; these are the latest type of juicers. The vegetables and fruits are crushed and then pressed guaranteeing that optimum amount of juice is extracted. The enzymes in the fruits are retained since it does not produce too much heat. This kitchen gadget is also called a coffee grinder. You need it and especially if you know that you are going to try out many Indian recipes. The tool is mainly used to quickly grind whole spices into a fine powder before adding them to any dish. A blender is a gadget that is useful in stirring and mixing food, fruits or any other item. A stationary blender consists of a jar that is fitted with metal blades at the bottom. It functions with electricity. Mixers are helpful when making several things. For instance, it can be used to make juices, soup, smoothies, puree, shakes, cake batter, bread dough and many other things. Blender can be used with several different attachments such as crusher, pasta roller, and ice cream machine. The apparatus is also a hands-free mixer. It is thus possible to carry out other tasks in the kitchen while the mixer is operating. With a blender, there will be less mess since it is fitted with a large stainless steel bowl to lower the chances of food dropping around. In Hindi, this kitchen gadget is known as “masala dabba.” In this box, you can store all your daily spices so that you can access them quickly. They are divided into seven different compartments where you can keep seven different spices. These spice boxes are usually made of stainless steel but can also be made of plastic. This kitchen tool is for the people who love pasta. This machine is used in the kitchen to prepare pasta of different shapes and sizes. This will help you have that fresh taste to your Indian dish. It is mostly used in the preparation of Indian snacks such as namakpara and sev. When preparing most Indian recipes, you will need a sharp knife to chop onions, garlic or prep vegetables. This is the main reason why every cook, whether Indian or otherwise should have a sharp knife in their kitchen. The blade should also have a length you are comfortable with. The surprising thing is that most people do not have quality knives in their kitchens. Remember that you can get the knife professionally sharpened at an affordable cook. It will make you a better cook. This kitchen gadget is used to prepare fried crunchy pakoras or French fries. The good thing about this slick gadget is that it is available in different models and price ranges. It is also very easy to use and clean and avoids oil spatters or stains on the kitchen counter-top. It will perfectly fit in your modern kitchen. An oven toaster is used to bake, grill, toast, and reheat. They are of two types; the Conventional Oven, this one, its source of heat is stationery and mostly comes from the bottom. The other one is the convection oven where the temperature is bounded from every side. It is also fitted with a fan on the back side to circulate the hot air on every side. The oven toaster will make your food crisp, warm and attain the brown color quickly. An advantage of this appliance is that it can prepare several types of food. 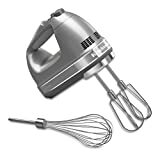 A hand mixer is a kitchen gadget that is used to stir, beat, and blade batter in a bowl. It is a handheld mixer that can either be electric or manual. The manual handheld mixer is also known as rotary hand beater. You will need to use both hands when handling this apparatus. One uses one hand to hold the topmost part of the mixer to guarantee that it is stable. The other hand will be used in operating the crank while beating. The electric hand mixer is the current version of the hand mixer. It is fixed with a motor and operates with electricity. The motor is used in rotating the beaters, and therefore, one will not require using manual energy while rotating the handle. An advantage about this gadget is that it is portable, easy to use, extremely fast for straightforward tasks, and can be used in any kitchen bowl since it consists no fixed bowl. The list of best kitchen gadgets for Indian cooking is endless. Besides, it is the homeowner who requires choosing which device is appropriate for the modern kitchen as regards to the specific needs. We hope that this article has given you a clear picture of what to own in your kitchen. It will help you make well-versed buying decisions. We hope that you will have happy cooking with these gadgets. The banana bread was fabulous. You made my day.This concept is very good love to read this.